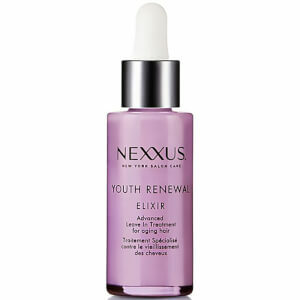 Combat eight visible signs of aging hair with the Youth Renewal Elixir from Nexxus; a leave in treatment for mature hair. 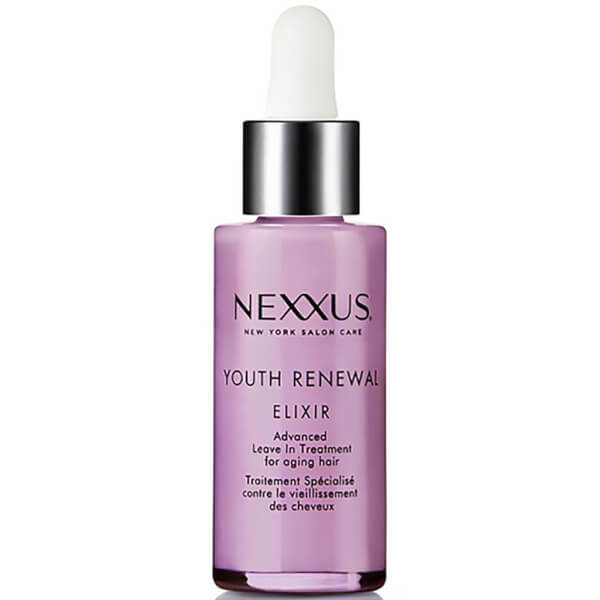 The recharging elixir features a breakthrough formula, which helps to care for the hair throughout the day and shield the hair against environmental stresses that can make hair age more quickly. Formulated with Liquid Pearl, marine pearls known for their visual lustre and mineral rich formation, and 100% Pure Elastin Protein, the elixir helps to replenish and revitalise each strand for more youthful-looking hair. Your hair is left deeply nourished, hydrated and renewed with shine. – E.W. Release 3 to 4 drops into palm and rub hands together. Smooth through damp or dry hair, focusing on roots to rebuild volume and through ends for added protection. Do not rinse. Style as usual.